Illumination/observation system: d/8 (diffused illumination, 8-degree viewing angle) Conforms to CIE No.15, GB/T 3978. 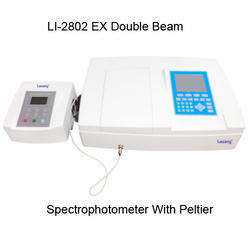 - The Color-view color spectrophotometer is a highly reliable 45/0 instrument with circumferential illumination. - Guaranteed repeatability through a patented self-calibration. As a Authorized dealer we are engaged in providing the broad assortment of wide gamut of optical instruments for Optical instruments. It features with stable performance, precise measurement and powerful functions in the leading position of the same industry. High repeatability & high accuracy Highly accurate data through the dual beam structure Implementation of high reproducibility up to 0.01 RMS level. Color Measurment can measure the color of samples that are liquid, pasty granular and solid in transmittance or reflectance. 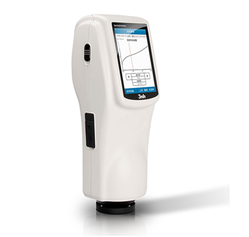 The top port provides a number of aperture sizes, and it provides measurement of most types of samples. Orange O Tec Private Limited. - Tri-Beam technology that simultaneously measures specular component included and excluded for simplified gloss assessment.